How can I make onboarding of new employees efficiently? What motivates my partners to stay regularly informed about product updates? A modern and state-of-the-art online training platform will help support your training objectives for your employees, customers and partners — simply and effectively. Let us show you how to use e-learning for optimising motivation and regular upskilling! From the 15th to the 17th of September, the International HRM fair in Cologne, Zukunft Personal will be showcasing important industry developments in the HR arena, as well as tips on how to run a successful online training. Visit our stand and be informed as well about the new features in Coursepath and perhaps win a 1-year free subscription! Win a One-Year Free Usage of Coursepath! Learn more about Coursepath at our stand and have 1-to-1 product demonstrations with our team, as well as win a prize. This is your chance of winning a full year subscription of Coursepath – unlimited users, unlimited storage, issuance of certificates, reporting and many more. 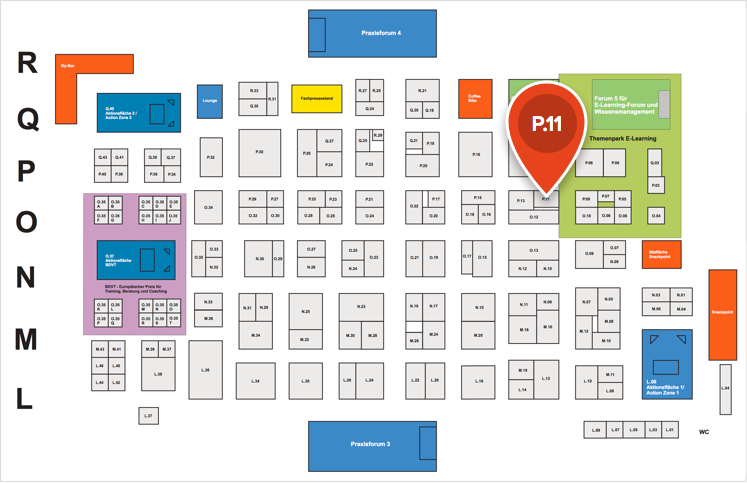 You will find us at hall 2.2, stand number P.11, directly next to the “E-Learning Forum”. Microlearning is a modern way of online training that makes use of short, “bite-sized” pieces of learning material. With this, users are enabled to take in information quickly and effectively, whenever and wherever they are. Don’t miss out on our presentation about Microlearning and its advantages for companies at 16:45, Tuesday, the 15th of September at the E-Learning Forum. We would love to see you there! You don’t have any ticket yet to the fair? No problem! Just send us your name, company and email address en we will send you a free ticket for one day at the fair. Please take note that the number of free tickets is limited so if you are interested, do get in touch with us quickly. Our stand is located at hall 2.2, number P.11 – directly next to the E-Learning Forum. “Zukunft Personal” is Europe’s largest exhibition on Human Resource Management. This year is its 16th year of exhibition in Cologne, Germany. At these times you will find us at the Coursepath stand.